Fire damage in the home is a traumatic experience for the whole family, the fire damage can extend into areas not visible and smoke and soot will find its way into every nook and cranny in the house. The soot is corrosive and will eat into the electronic components of TVs, Videos and DVDs, therefore it is important that your home is thoroughly cleaned to prevent further long term issues. Damaged property should not be disposed of until it has been inspected by the Loss Adjuster appointed by your Insurance Company. Fire Damage Insurance Assessor Don’t forget – the loss adjuster’s job is to “adjust” your contents and buildings insurance claim once you have spent all the time needed to prepare it for them, and although they are officially independent he is employed by the insurance company and Damaged property should not be disposed of until it has been inspected by the Loss Adjuster appointed by your Insurance Company. Fire Damage Insurance Assessor Don’t forget – the loss adjuster’s job is to “adjust” your contents and buildings insurance claim once you have spent all the time needed to prepare it for them, and although they are officially independent he is employed by the insurance company and must therefore, settle your fire insurance claim as economically as possible. 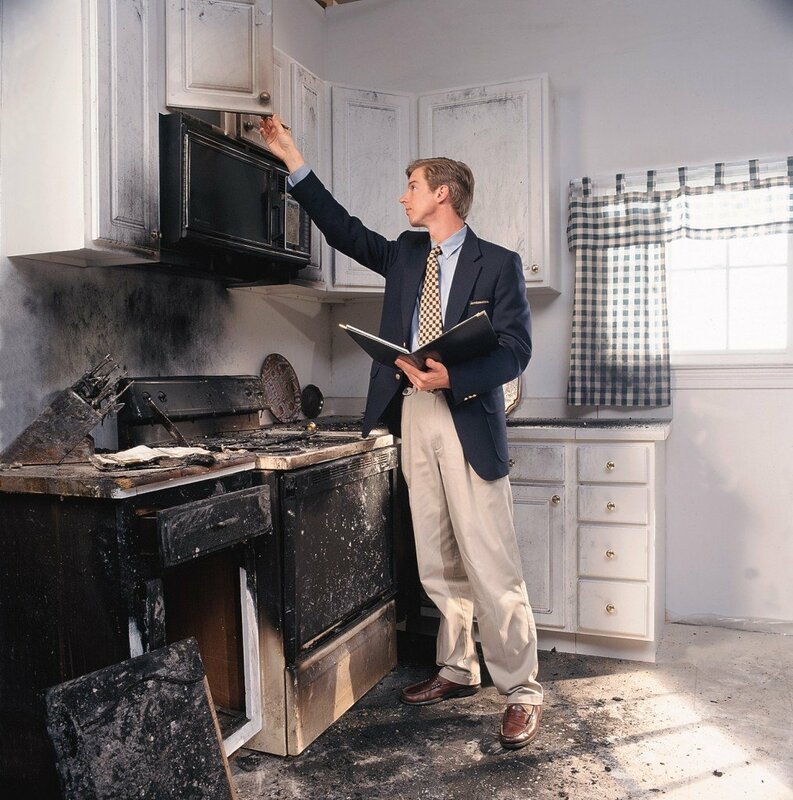 With no obligation, one of our experienced Claim Specialists can review your fire damage claim.